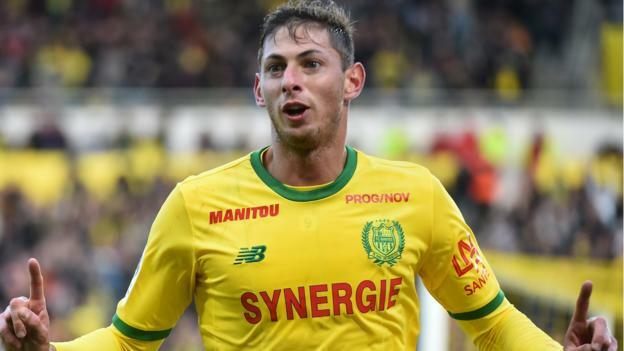 Argentine striker Emiliano Sala is heading to Cardiff City for talks over a potential club-record £18m transfer. Sala, 28, has scored 13 league and cup goals for French top-flight side Nantes this season and is manager Neil Warnock’s main target. The move had appeared to have fallen through, but chairman Mehmet Dalman confirmed the club are still keen. “Nothing is dead until it is dead, there is still dialogue going on and we will see what happens,” he said. A fee of £18m would beat the £11m Cardiff paid for Chile international midfielder Gary Medel in 2013. Sala’s tally of 12 league goals puts him in third place in the French scoring charts behind Paris St Germain’s Kylian Mbappe (14) and Lille’s Nicolas Pepe (13).